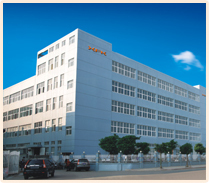 ﻿ Company profile-Taizhou Zhengke Automobil Parts Co.,Ltd. Guangde Zhengke Drive Shaft Co., Ltd. is a professional manufacturer with more than 10 years of experience in production of C.V Joint and Drive Shaft. The company was founded in 2010. (With its previous name “Taizhou Zhengke Autoparts Co.,Ltd”, which was founded in 1995). Zhengke is always taking pride in the business idea of “Pragmatism & Creativity, Strive for the best”, improving and advancing the ability of production equipments and technology, with the solid ability of development, design and production. We have more than 150 personnel and can produce more than 100 thousand pieces of C.V Joint per month. With our efforts, we have established business relationships with many companies in domestic and international market. Our products enjoy good reputation in the market. With the principle “Customers First, Mutual Benefit”, Zhengke is always looking forward to building long term business relationships with you.